The OnGuard Aerosols collection is another D-Line Exclusive. This line offers professionals the opportunity to utilize a reliable and cost efficient product for a variety of pest related problems. 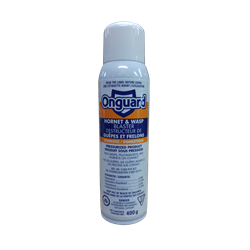 The OnGuard Collection is also comprised of a few domestic products which can be re-sold to non licensed individuals.